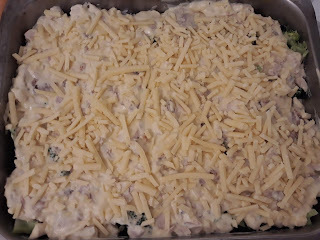 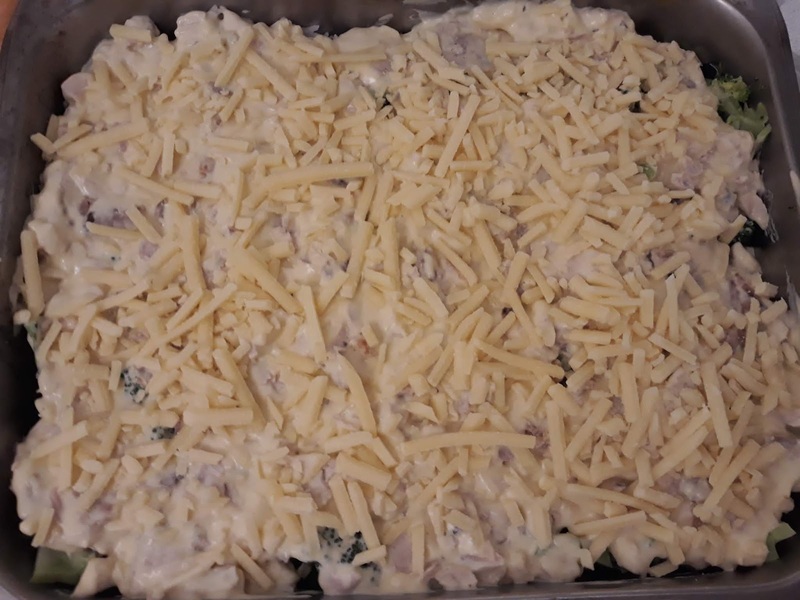 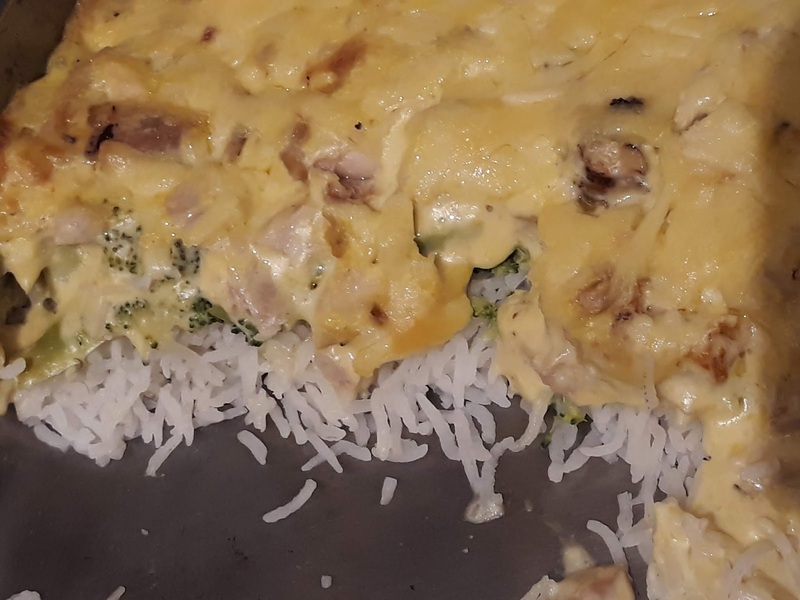 I decided to make chicken and broccoli casserole for dinner. 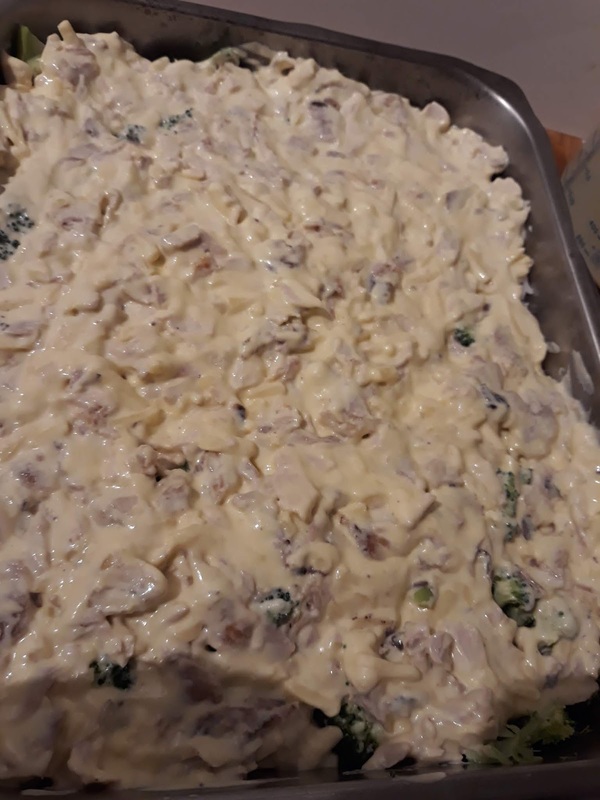 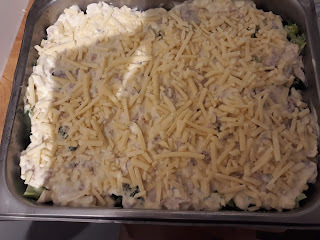 My mum had made it and my nephews loved it so I thought I'd give it a go.. this was the recipe that I used for inspiration.. 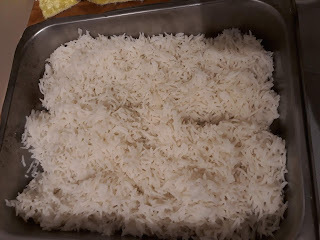 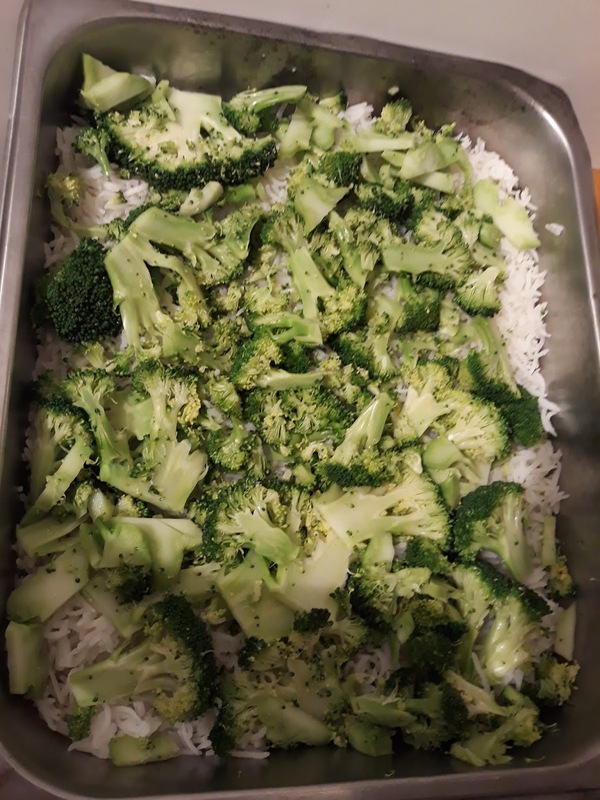 I cooked the rice and put a good layer on the bottom of a tray.. 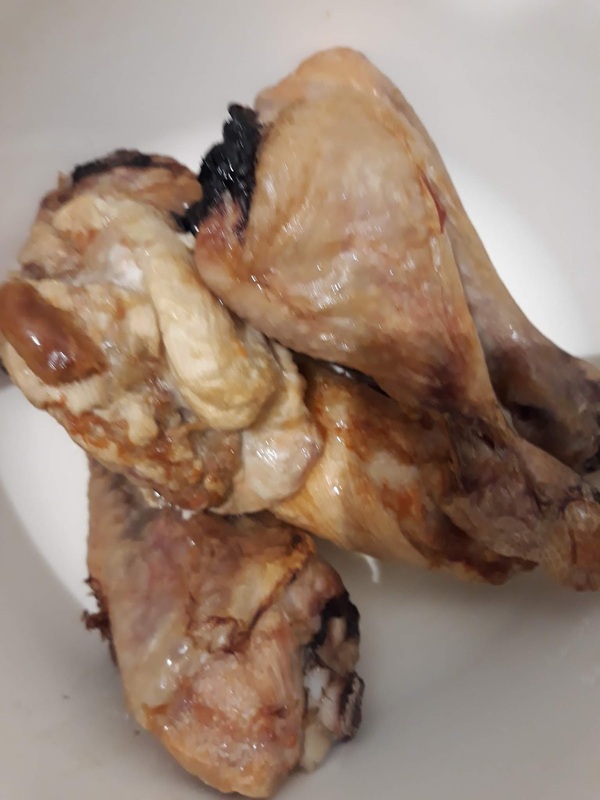 In the mean time I had cooked 2 chicken thighs and 4 drumsticks in the oven..
you could always use a roast chicken.. once cooked and cooled I took the chicken off the bones and chopped it up into small pieces.. 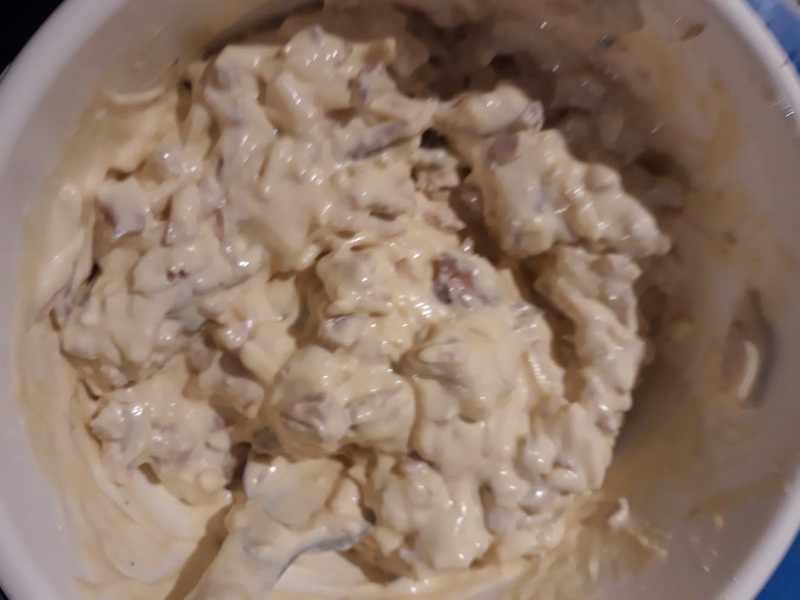 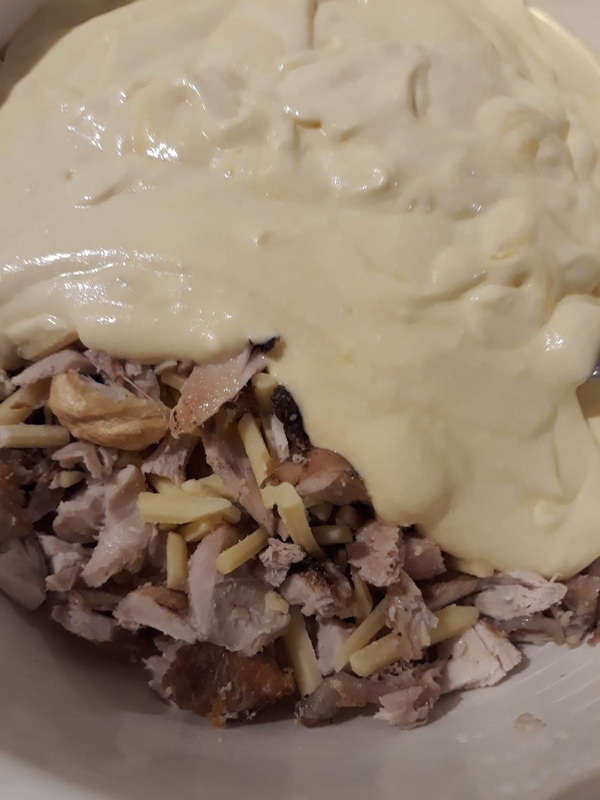 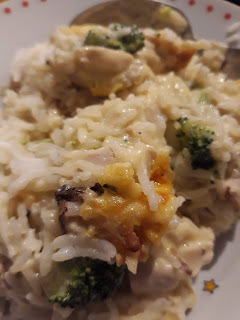 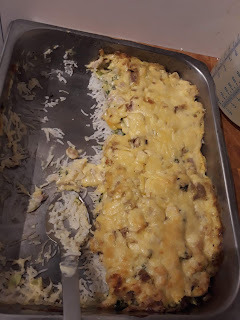 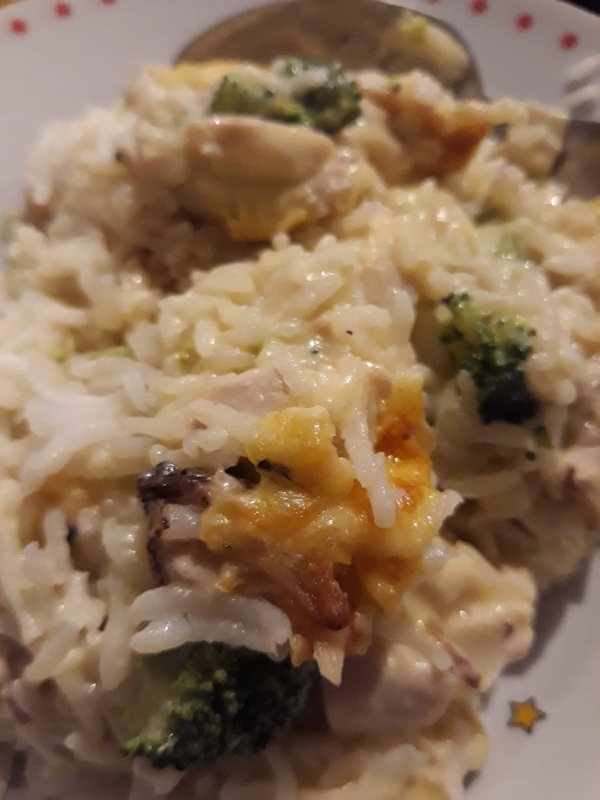 In a bowl I added a can of chicken condensed soup and 300g of sour cream and mix together..
then I added the chicken and some grated cheese..